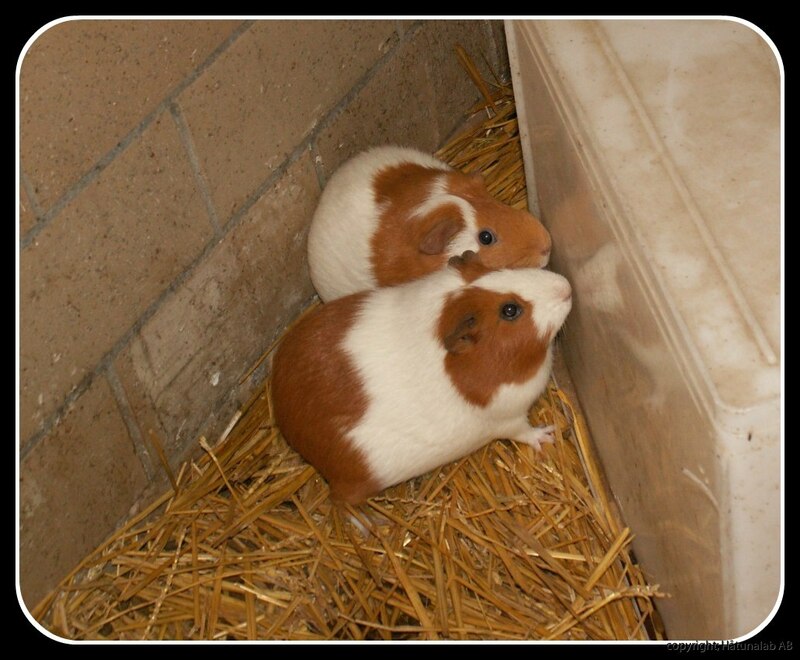 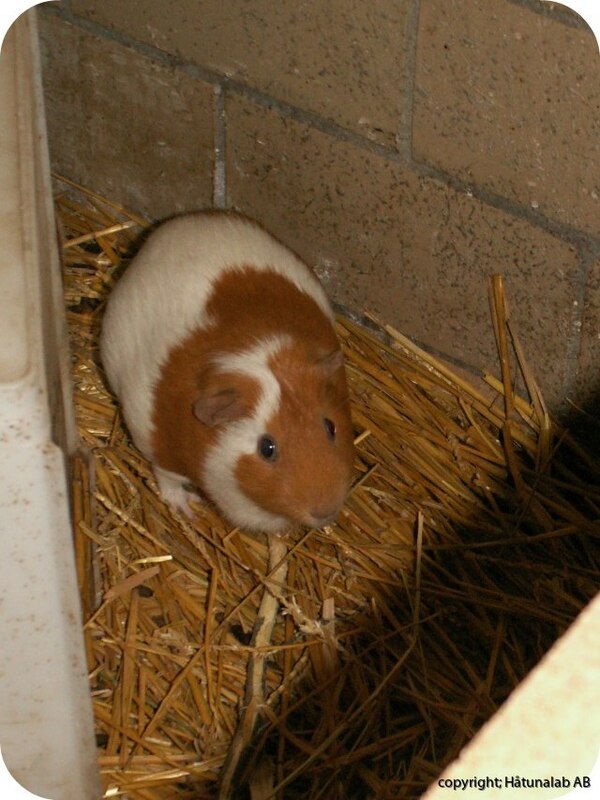 At present we keep about 10 guinea pigs. 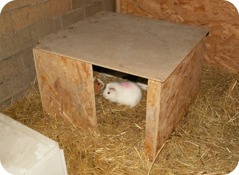 Just like the rabbits, they live in big stalls, in groups of 4-6. They have tunnels and houses to hide and play in. They eat mostly hay, pellets and vegetables.